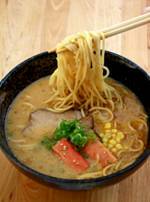 To celebrate the New Year and the launch of their new line of Miso Tonkotsu Ramen bowls Genji Sushi and Whole Foods Market Charlotte (6610 Fairview Rd) are thrilled to present Ramen Noodle Night on Wednesday, February 6 from 6-8PM. Guests are invited to bring a friend and enjoy two bowls for the price of one, or one bowl for $4.50. The bowls comes with two delicious topping options: Shrimp Tempura and Roasted Pork (Chāshū). Amy on Food will be trying the ramen bowls soon - stay tuned! Good Eats and Meets is partnering up with the new culinary hot spot Osso in the trendy NC Music Factory to bring you a meal, where nothing meets the eye and is unlike any other you have ever had before! Imagine that you are recognizing friends only by their voice, where sounds tell a story, aromas come alive and elegance is felt. In this era of information overload, visual stimulation has reached an all time pinnacle. But imagine, just for an hour or two that you cannot see, that you are abandoning vision in exchange for a new, more stimulating dining experience – this is “Dining in the Dark”...A Feast for the Senses!!! The purpose of our dinner is to give guests a unique eating experience while fostering a greater understanding of what it's like to be visually impaired and to raise awareness for their cause. During your Dining in the Dark meal, you will savor a multi course meal in a room where you can’t see a single solitary thing, from your plate of mystery food to the faces of your fellow diners. It will be more than a culinary experience, it will be a sensory and social experience to the tenth power. The evening will begin at 8:00 pm where all the guests will mix and mingle over cocktails (one is included in the cost of the meal-surprise!) before entering our inner sanctum of darkness. We will seat everyone and make sure that you are comfortable before the meal will begin. The rest is up to you. We will be offering a phone check and anything else that might interfere with your meal. Spread the word and come with a couple of your friends. Seating is limited and will go fast! Don't wait and miss out! Every previous Dining in the Dark event has SOLD OUT. The cost is $39 per person or $79 for a couple for the full meal with one cocktail/beer/wine, as well as tax and tip. The final price on Eventbrite includes the tax, tip and Eventbrite fees and is all inclusive. What a deal for this truly unique event!